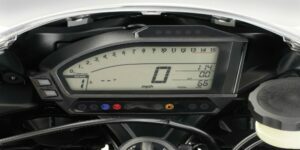 The speedometers of a motorcycle, in general, are not a piece too complex. 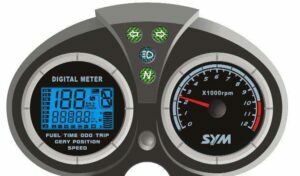 It is a technology that measures speed with a cable that connects between the indicator and the adjustment hub on the front wheel. Some motorcycles have electronic speedometers that require calibration and repair by a trained technician. 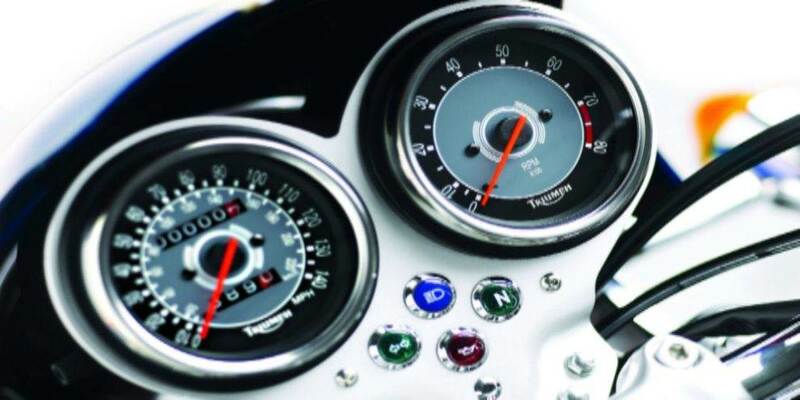 This type of speedometers usually work by means of a steel cable, which is sheathed and which transmits the rotational movement of some mobile part that revolutionizes as speed increases or decreases. What I call analog / digital is that the data collection system is the same as the analog, by means of a cable, however, having an LCD display and some digital logic, it avoids two errors that exist in the purely analog. 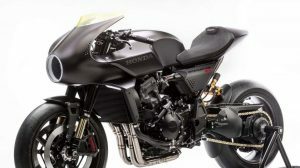 The cable is replaced by a system of metals and magnets, called an inductive sensor, located in the gearbox, which transmits signals indicative of the displacement, added to a certain digital logic in the device itself, and having some configurations that are Correspond to the model of motorcycle in particular, it makes the precision increase. 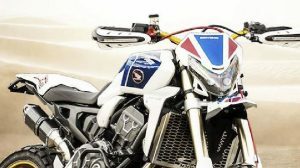 To this day, they are the most precise devices that are installed in motorcycles, as well, they are more expensive than the rest. This is something we all spend. You go at an exciting and comfortable speed on the road but then you look at your speedometer and you realize that it is showing you a much higher speed than the real one. At the time of the tests we could observe that the errors are of a low percentage, generally showing speeds higher than the real ones. We have deduced that this tendency of the speedometers is due to a legal regulation. The accuracy of the speedometer depends on the large extent of a physical factor, the diameter of the tires. This aspect is significantly affected in a motorcycle by other factors, but in this case, external such as pressure, load and temperature. When the calibration and calibration tests are performed, these physical factors mentioned above are taken into account. Another aspect related to the diameter of the tires, is the fact that the rider often changes tires to options with different diameters. In our latest tire test, the diameter of the seven rear tires tested varied by 2 percent, which directly affects the speedometer in the same amount. This also explains some of the discrepancies. Even with all these variables, however, manufacturers seem to be wrong on the side of caution so the speedometer does not read under. The operation of today’s speedometers consists of a series of sensors that act on the transmission gears or on the wheel rings. These sensors send a square-wave signal to the ECU, which calculates speed from the frequency of the signal. As explained, the diameter of the tires affects the final result shown by the sensors. When the sensor is in the transmission gear, it is this that ultimately affects the results that the speedometer displays. For cases like this, a device has been created that tries to correct the alterations usually shown. 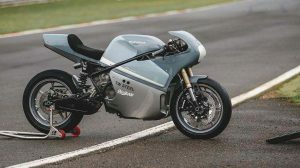 The SpeedoHealer connects the sensor cable and accelerates or decreases the signal frequency by changing the speedometer reading to recalibrate for any error or gear change or tire. The vast majority of motorcycles that have ABS, the speedometer works from the signals emitted by the ABS. For these types of machines, it is not advisable to use devices in the sensor as it would be counterproductive. In these cases there are two things you can do to fix it: If the ECU sends a square wave signal to the dash specifically for the speedometer, the device could be inserted here, as opposed to the sensor wires. And some bikes can have the speedometer recalibrated by a ECU re-flash.